.ikcha. handcrafted jewelry: New inspiration Board! 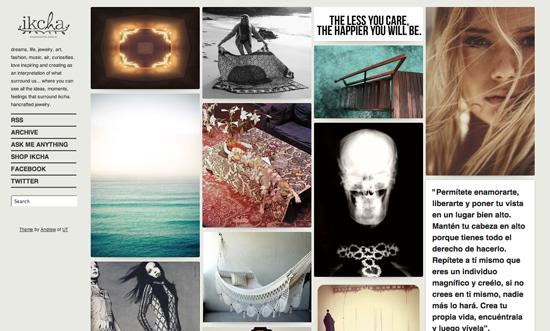 I'm happy with ikcha's new tumblr account! Check it daily for inspirations pics, moods, phrases, videos and feelings.